I wanted to personally update you on my most recent tournament and game this past week. Our team is working hard everyday and I am constantly seeing improvements from the new varsity members. It is always exciting playing for your school team. My goal is to carry this enthusiasm to the next level and play at college. Selected for All Tournament Invitational Team - 90 plus girls in attendance, 10 were selected. On the day, Madison Warlick led a very balanced attack at the net with 30 kills, while Katie Schnell had 23, Danielle LaRosa had 22, and Emery Hawkins had 20. LaRosa and Hawkins registered 14 and 10 blocks respectively. Warlick also led the Patriots from the back line defense with 38 digs, while senior (Libero) Victoria Bickley had 32 to go with 22 from sophomore Bridget Pinnata. Schnell led the Patriots in service points with 34, 9 of which were aces, while Warlick, Sarah Hanssen, and Pinnata chipped in with 27,24, & 23 respectively. Hanssen led the team in assists with 95 while Warlick passed at .199 and Bickley (Libero) passed at .190. 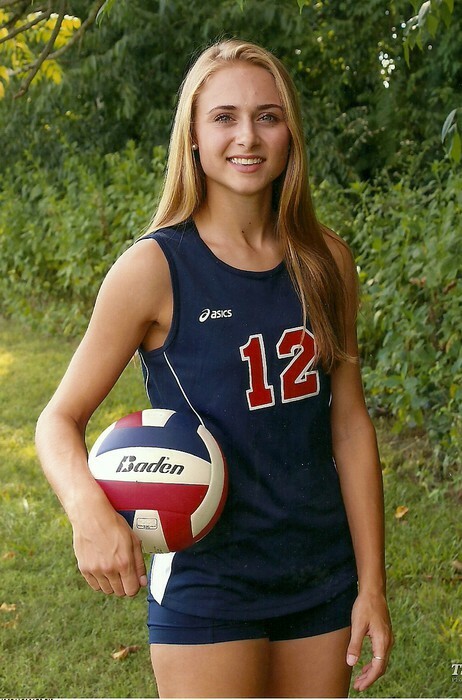 Patriot Outside Hitter Madison Warlick, was selected to the All-Tournament Team. Volleyball is the second story on the local sports. The Patriots started their Jefferson District slate tonight against neighboring Louisa. The Patriots took control early in the first set 11-1 behind 4 kills from Madison Warlick. After trading side outs, Warlick had an 8 point service run bolstered by kills from Emery Hawkins and Gabbi DeGennaro. Louisa responded with a short run of their own, but the Patriots claimed set 1, 25-10. In set 3, the Patriots employed their youth movement. 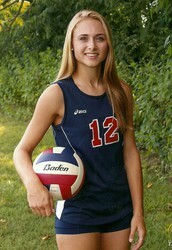 The young Patriots jumped out to a nice 10-2 lead behind 5 kills from Kelsey Marks. However, the Patriots struggled with their serve receive and made several attack errors as Louisa stormed back to take an 18-17 lead. The Patriots were able to re-take the lead at 22-20 and ended the match on a shared block by Jessica Kostelac and Adalee Lynch. For the match. Madison Warlick had a monster night registering 10 kills, 8 aces, 18 service points and 6 digs. Katie Schnell also had 10 kills while Sarah Hanssen dished out a season high 29 assists. Kelsey Marks had 6 kills while Emery Hawkins and Gabbi DeGennaro had 5 each. Victoria Bickley led the team with 10 digs while registering 5 aces of her own. The Patriots evened their record at 4-4 on the season and moved to 1-0 in District Play.